Just a brief introduction here about my job. I am working in Garena, a consumer Internet platform provider, better known as a gaming company. I have lots of friends assuming my job is to play games and have nothing else to do. Well, you are wrong. My hobby is to play games but my job involves planning and executions. Now back to the topic, I'm going to recap the fun stuffs about Garena Carnival. Now you might ask, what is Garena Carnival? To put it simple, Garena Carnival is a "funfair" for the players to gather and enjoy fairground activities. It is a huge gathering for players to meet new friends in real life and enjoy the offline activities. Garena Carnival has been keeping its promises to deliver the best with the tagline "Twice the Size, Twice the Fun" this year. 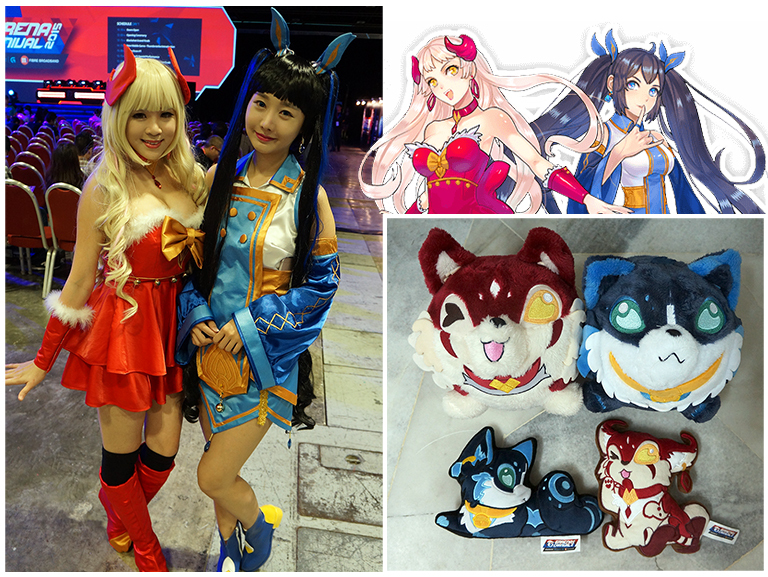 Two mascots, Rena and Airi, were introduced in conjunction with Garena Carnival 2015. Both of them came to life and the Cosplayers did a very good job at portraying them with their personalities. The red one is Rena while the blue one is Airi. Interesting enough, Rena and Airi have their own merchandise too! Introducing you a game named League of Legends. 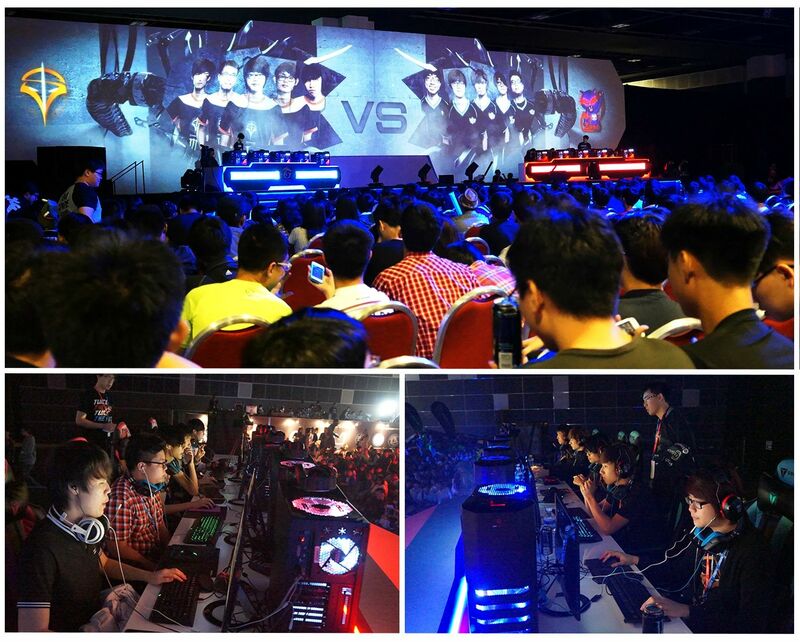 It is one of the famous MOBA games in the world and of course, we have the League community in Singapore and Malaysia. To make Garena Carnival merrier than before, the Garena Carnival committee prepared some fun activities for the attendees. There are lots of side activities available at the Garena Carnival. 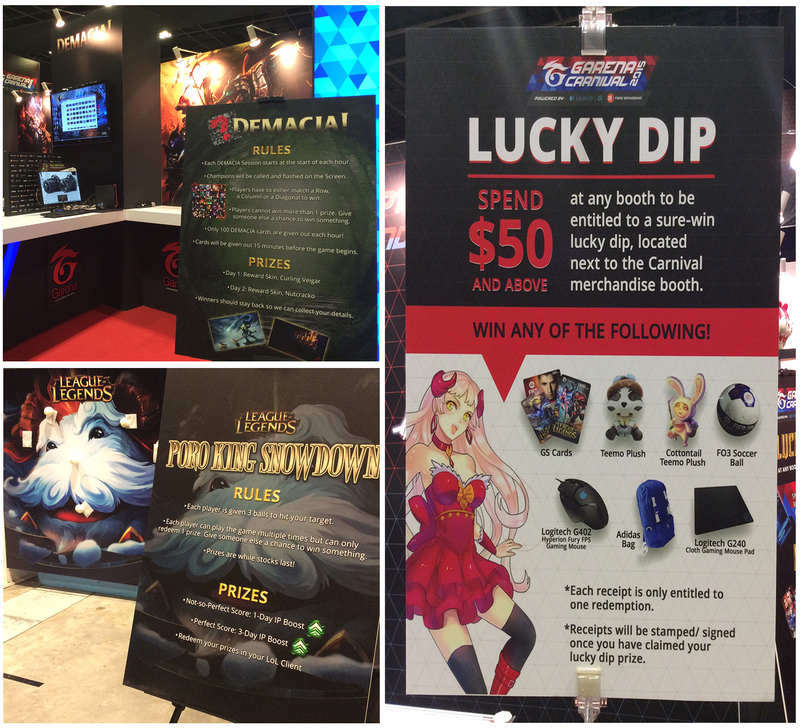 Besides getting in-game freebies at the respective game booth, players can also get in-game items by completing the quests at the game stations. Wristbands were also given out to players at the game stations too.. I must not forget to mention the first ever project mapping in our Garena events! Circus Maximus with their fully owned projection system and audio-visual equipment, is able to wow each and every one in Garena Carnival 2015. It was a huge stage, and the projected image on stage is able to cater to players who are far away from the stage. Garena Carnival also invited two Korean Cosplayers, Hori and Aza Miyuko as judges for Cosplay Competition. Their profession? Cosplay. Both of them are famous, especially with Aza Miyuko. She is able to bring a character to life and impress the audience with her great performance. Were they impressing? YES! Definitely! They danced, they winked and they charmed the audience with lots of love. Have I ever tell you how much I love the Cosplay Community? I am always amazed with their passion and dedication towards Cosplay, and their loves to the Characters they Cosplayed too! I'm not really a particular fan for certain Cosplayers but I love to see their creative yet detailed costumes. Besides, it is undeniable that these Cosplayers are friendly and adorable too! Introducing you the casters aka the commentators for TLC SG League of Legends. I must say, this is a very tough mission to entertain the audience and analyse the game at the same time. Without casters, big plays would be without hype, and wins would be underwhelming. Shoutcasting is kind of the backbone of the eSports scene and it is a very challenging skill. If you want a simpler comparison, casters are the emcee of a huge event. Without any emcee, the event can be dull and boring, same goes to the eSports scene too. Most of the players were there for League of Legends TLC SG Finals. 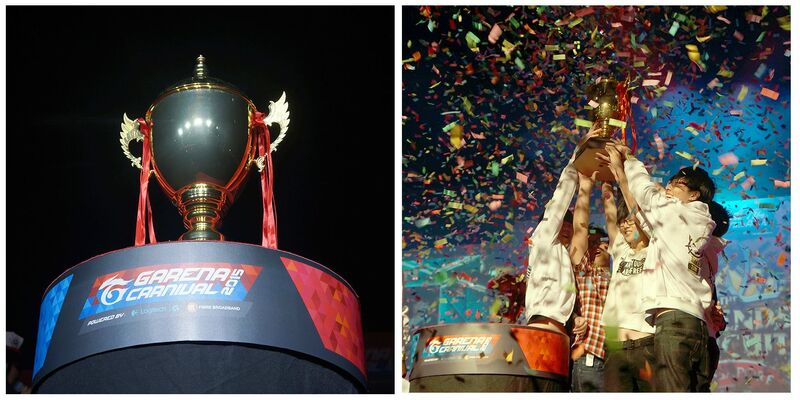 The first day of Garena Carnival was the match for third placing between Nyan Zone and Thirsty Chinchilla. The battle between Tom and Jerry has never ended and Nyan Zone, unexpectedly, won Thirsty Chinchilla with the score of 3-0! The excitement did not just end there, Nyan Zone put up a great show against Insidious Gaming Legends at the finals! With Insidious Gaming Legends 2-0 ahead of Nyan Zone, Nyan Zone did not give up on fate and they are able to crown as Champion for TLC SG Spring Finals with a reverse sweep victory of 3-2 against Insidious Gaming Legends. Nyan Zone has lots of potential and they put up a lot of surprises to the audience too. Now, who says the local eSports scene is boring?